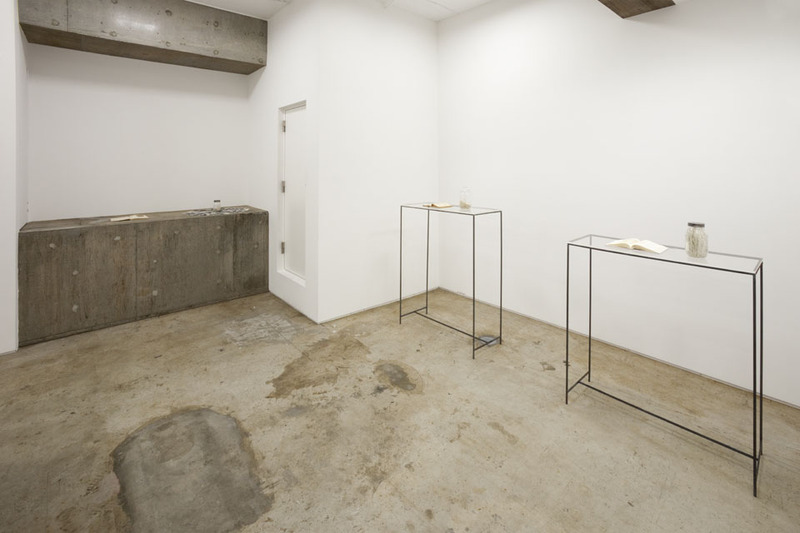 Sculptor Ryuta Iida was born in 1981 in Shizuoka and currently resides in Aomori. 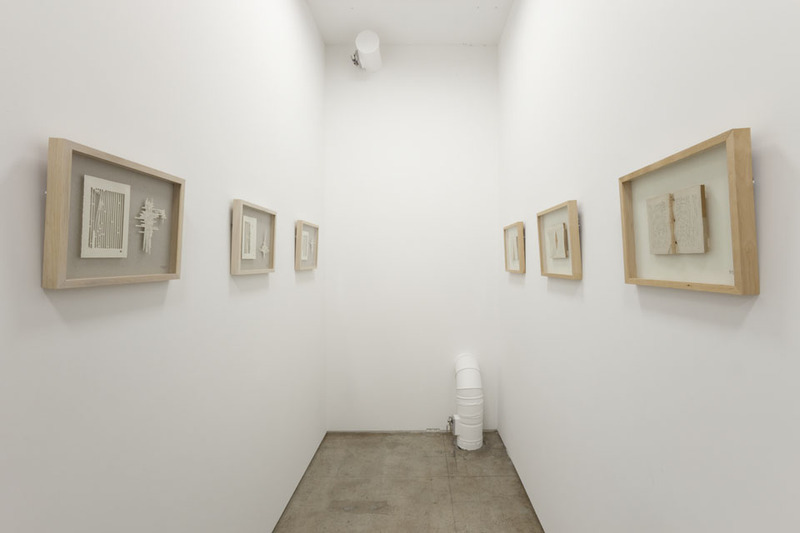 A graduate of the sculpture department at Nihon University College of Art, Iida has amassed a personal collection of used and antique books which he “carves” to create his works. Since winning the Grand Prix at the Graphic Art Hitotsubo Exhibition in 2004, Iida has held a solo exhibit at graf media gm and has had works included in the Exhibition of the Taro Okamoto Award for Contemporary Art as well as the Tokorozawa Biennial. In 2010, he was part of a three-artist exhibit at the newly opened Project Fulfill Art Space in Taipei, and he participated in Very Fun Park, a large-scale art festival held throughout the city of Taipei by the Fubon Art Foundation. During the festival, his works were exhibited at Estile Bookstore, Taiwan’s largest bookstore, and at VVG Something, a shop specializing in art and vintage books, where his pieces garnered attention. In Japan, Iida has been praised as an up and coming artist with much potential. His work was recently featured in a Comme des Garcons collaborative DM series with Ai Weiwei, and a piece made together with designer Tanaka Yoshihisa as part of their collaborative unit Nerhol graced the cover of the Bose company magazine. 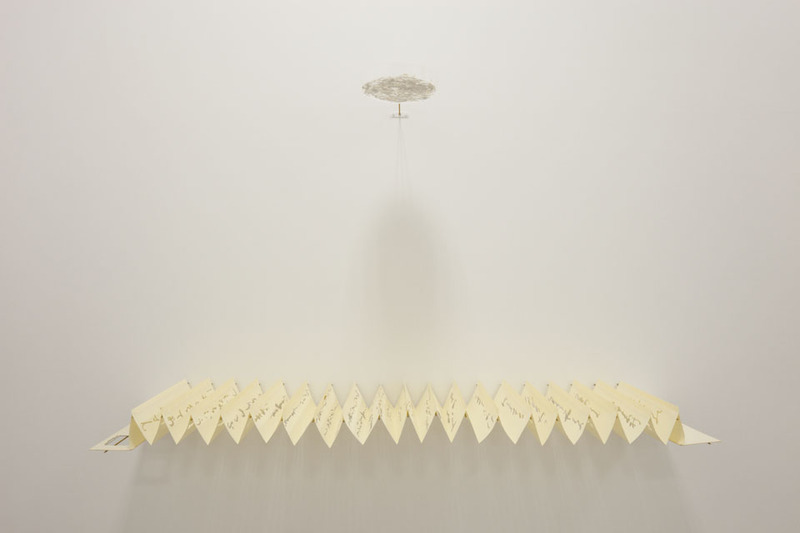 In his works, Iida intervenes in the relationship between books and the human memories and ideas transmitted within their pages, acting as a third party in the creative process as he attempts to reach somewhere beyond. His sculptural approach combines creation and destruction in one action, creating a constantly occurring paradox which in turn becomes the energy of his work. This opens up the relationship of the construction of the motifs he features, as we stare intently at the relief created thus through the process of reconstruction. In today’s world, it is common to feel anesthetized, caught up in an environment in which the oscillation between compiling and falling apart is increasingly accelerated. Iida’s attempts to interpret that existence in sculpture by carving a single page at a time highlights his larger-than-life dedication. In this exhibit, we proudly present Iida’s new works along with pieces on display in Japan for the first time. 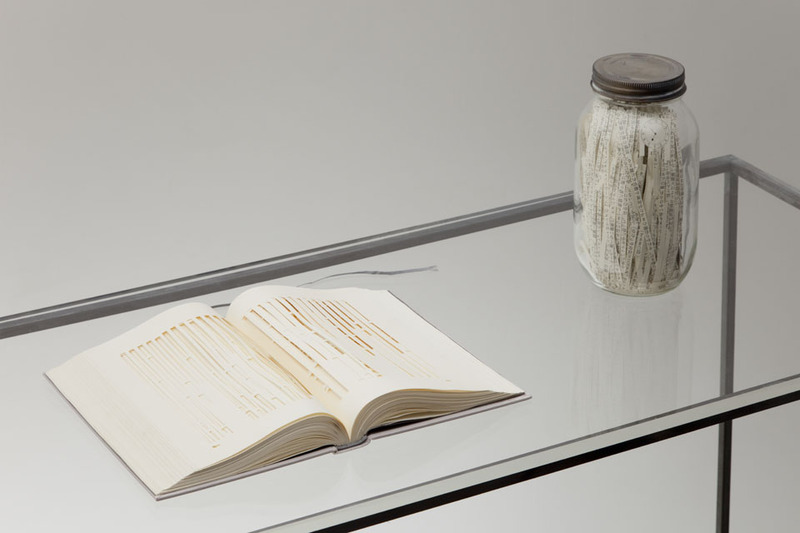 Iida’s new series, “ornament of book,” symbolic of his extensive works, will also be on display. Lined along bookshelves are books that cross over time, converging with the layers of time spent by Iida in rendering the books illegible as sculptures, giving them new meaning and slicing time in a new direction. 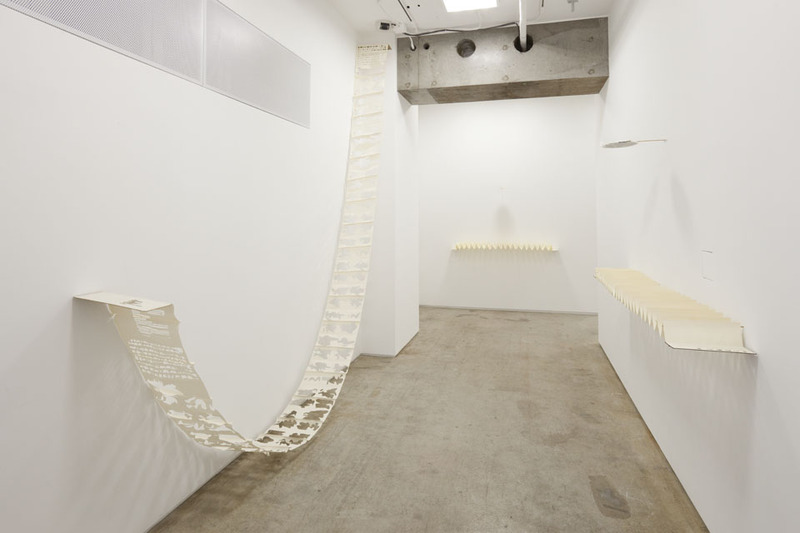 The title of the exhibit, too, gives a glance into the narrative quality of Iida’s work. “Verbalizes -because I can’t see you-” will be on display through December 4, 2010.